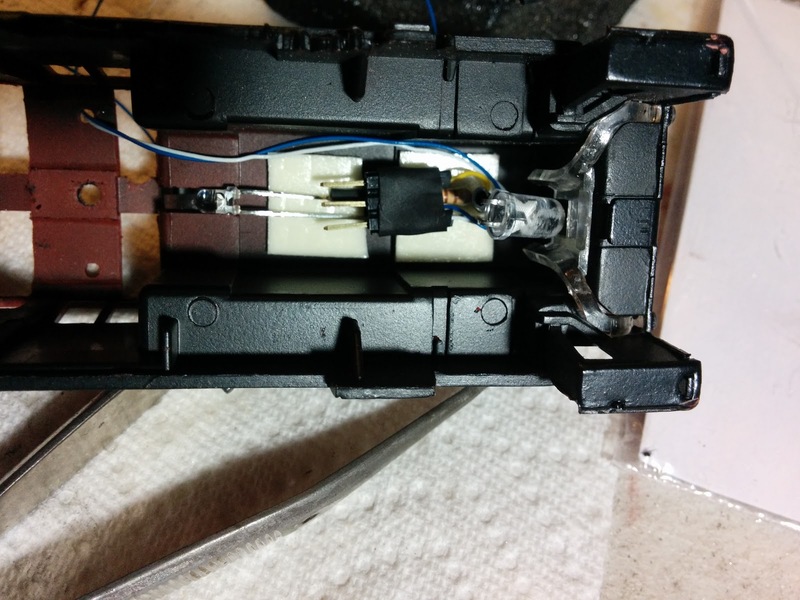 Lostentry - Welztalbahn, Model Railroading, and more: V60: Let there be light! I finished the digital conversion of a Maerklin 3065 V60 class switcher. Not only was this my first attempt of using a motor kit from sb modellbau, but also I'm very happy that I managed to find a way to replace the light bulbs with LEDs, and still have all lights operational without having to resort to dealing with SMD LEDs. As you can see in the photo above, the arrangement of the lights is a bit tricky. I started the lights on the long-hood side of the locomotive to get some experience working inside this very narrow and somewhat shallow hood. 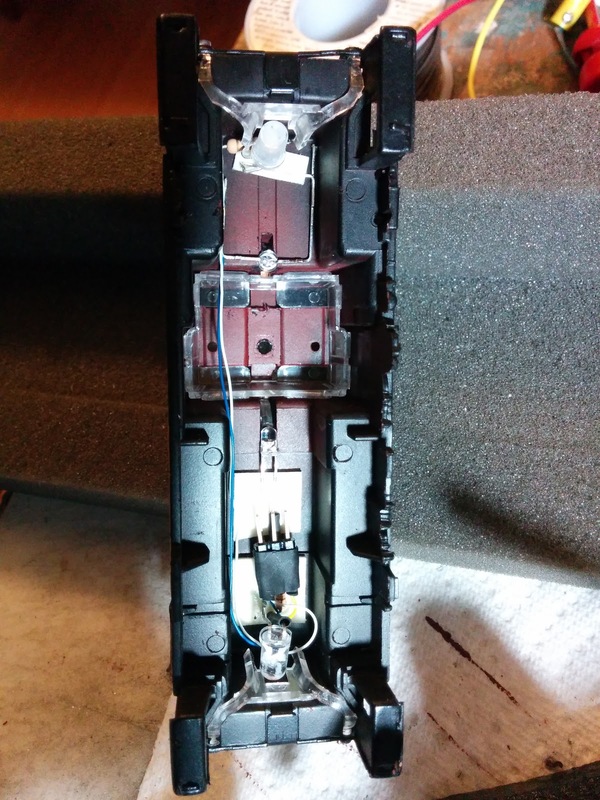 Since I'm mounting the LEDs in the shell, I needed a way to disconnect the shell from the chassis, so I built a low-tech connector from header pins. A 5mm warm-white LED feeds the ditch lights, and a dedicated 3mm warm-white LED feeds the headlight at the cab. The white, yellow, and blue cable were left just long enough that I can take off the shell and pull the connectors from the header pins. The short hood houses the motor, and in particular the flywheel, so space is at a premium here. I decided to route the wires along the insider corners of the shell, as well as mount the 3mm LED into the exhaust block. 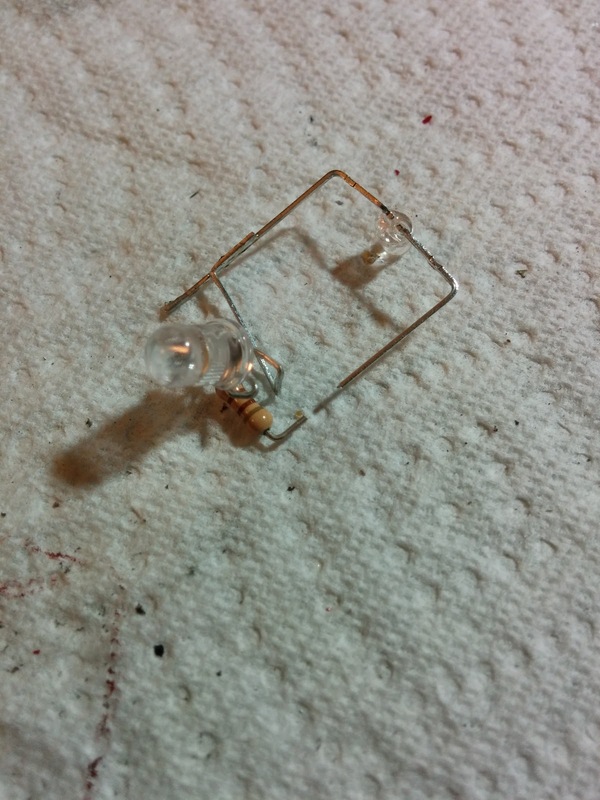 That required some gentle drilling to make room for the LED. I also had to reposition the 5mm LED in a sub-optimal way to avoid the LED touching the flywheel, which now spins only a few millimeters away from the LED contacts. And that completes the digital conversion of this loco. 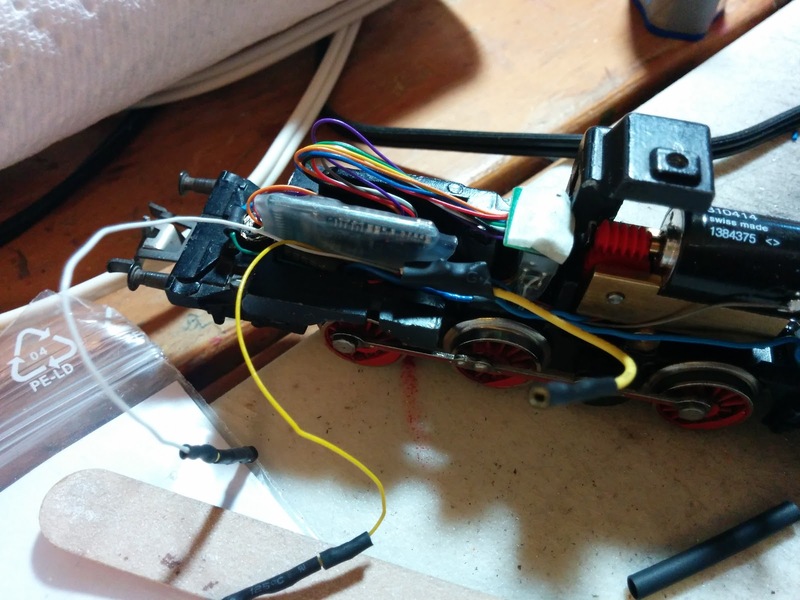 Things left to do are some paint touch-ups on the shell, and tuning the decoder programming. This loco comes with a TELEX coupler on each end, which are wired serially to function output 1 of the ESU Lokpilot 3.0 decoder. 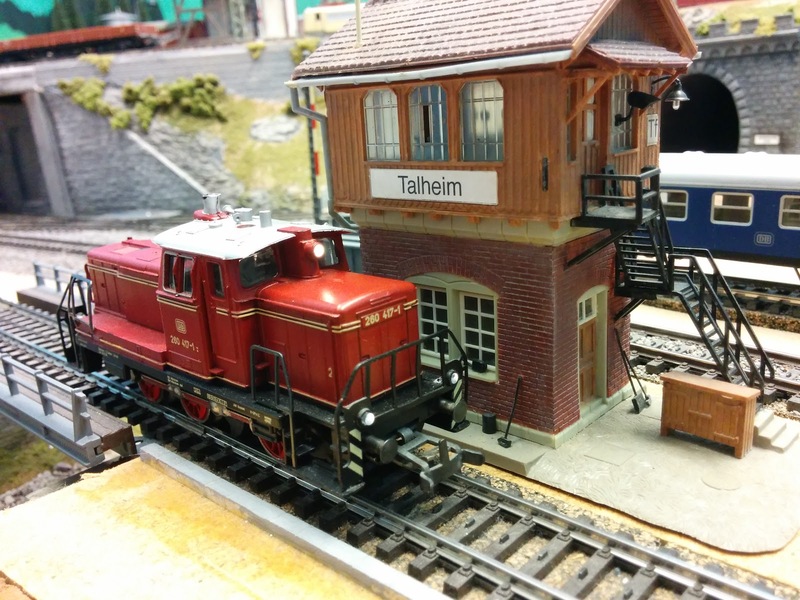 Finally, here's a short video that shows the completed locomotive in Talheim. The motor is so quiet now, that the locomotive is almost begging to be equipped with sound. This is the last post on the V60 conversion. The earlier posts are part 1, part 2, part 3, part 4, and part 5.